By Anchen Verster – SA certified perinatal educator, registered nurse and midwife, mother of 4 including twins. After my first child was born the job that I was in was a contract job so I didn’t get maternity leave and we were only due to stay in the ‘Mother City’ for another 18 months before heading up North so there was really no point in doing anything other than “hanging” with my first-born (plus of course keeping up with everything else that goes with mothering and homing). Added to this we lived in a small apartment in the centre of a little town with the beach within walking distance. The two of us walked to the shops, beach, library and clinic and of course he was “attached” to me in a sling and loved it. In the first months he’d usually fall asleep in the sling, but later sat on my hip (still in sling) with a smug expression on his face while viewing the world with delight. This form of contact with your baby is called “baby wearing” and refers to regular physical contact with the use of a sling, pouch or baby wrap. Society seems to tell us (and some health care providers) that as soon as possible after birth we need to start teaching our babies to self-soothe and sleep alone. Now please don’t misunderstand me. There is nothing wrong with a baby who is calmly falling asleep without needing help to sleep or with helping a baby to sleep (depending on the circumstances and age). However, there are equally millions of babies who are being forced into routines but they actually just need more physical contact with one or both parents. I’ve had one mother say with great sadness – who followed a very rigid routine with her first baby from the get-go – that she realizes she didn’t hold her baby enough. I want to take the opportunity to convince you why you should “wear” your baby more often so that you won’t experience this same regret. The act of breastfeeding at the mother’s chest is designed to keep baby in close proximity to mom. You’ll often hear breastfeeding advocates talking about the non-nutritive importance of breastfeeding and so one of these benefits is the amount of physical contact that baby gets with mom. Baby has been separated from her by birth but needs to stay close to her for survival after birth. And so, in one sense baby is actually still “attached” to mom. This continued connection is their first experience of relationship beyond the womb and will be the foundation and spectacles through which they view and experience relationships with others. This process is called “bonding” (some call it attachment, but specialists don’t like to use the term inter-changeably as this is the extension of the bonding process). The act of frequently “wearing” your baby helps to facilitate this process because it increases the amount of time that mother and baby are in close proximity. Mothers’ who practice ‘baby wearing’ learn their baby’s cues and language faster than when mom and baby are separated. If mom understands baby better, she will respond to his needs faster. Walla, you will have a calmer baby! 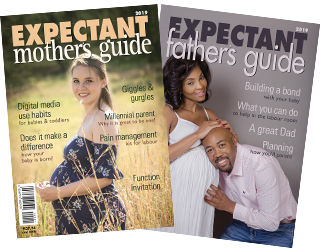 I usually explain this to my antenatal parent groups in the following way: when we are dating – the first few months are often characterized by a measure of insecurity in the relationship. We wonder what the other person is thinking or how they are feeling but as we spend more and more time with them we start to know them better. Our insecurity diminishes as we get to know them better. My husband often is amazed that I can sometimes finish his sentence before he’s given me a clue as to what he’s going to say. That’s because I know him well because we’ve spent lots of time getting to know each other. And so it is with your little one, the more time you are together the faster you’ll get to know what they are trying to tell you. The plethora of skin-to-skin research teaches us that when babies are in skin-to-skin contact with mom or dad they fall asleep more easily and have more restful patterns of sleep. Dr Nils Bergman, describes an 86% decrease in Quiet Sleep Duration when baby is separated from mom by comparison to babies who are sleeping in skin-to-skin contact with mom. The same study showed a 176% increase in autonomic activity (stress activity) measured by heart rate variability in babies who are separated. This study looks particularly at skin-to-skin sleep by comparison to separation sleep but I can’t count the number of times moms have told me that their baby sleeps so much better and longer when in a sling on them! Better quality and duration of sleep has significant benefit on optimal brain development! Most moms tell me they are scared of their baby being passed from one family member to another or from one friend to another particularly in the first few weeks of life. Their fears are related to higher risk of infection transfer and over stimulation. Their instinct is telling them that they should remain in close proximity to their newborn baby and that passing from one to the other does not yet suit the developmental age of their baby. Don’t get me wrong – I’m not talking about granny or sibling holding baby I’m talking about those Sunday afternoon braai’s where you literally don’t see your baby for two hours because he is passed from aunt Jenny to cousin Lillian’s snotty 5 year old. Baby wearing is a fantastic way to limit the initial passing of baby from one person to the next. Our return to church after our first child was born terrified me because I knew that if I handed my son to someone for a cuddle he would be passed from one to the next and I wouldn’t see him for the next hour and a half. I didn’t mind the holding, but I was terrified of infection from contact with so many different people. So, I “wore” him in a sling to church. He slept for the entire duration and most importantly he stayed with me, both because he was sleeping but also because while he was in the sling it gave a clear message that his place was with me. Now I know we all feel differently about this and there may be cultural variability between what is appropriate “keeping your baby to yourself” but for those of you who feel you don’t want to do lots of passing on of your baby in the first few weeks particularly to non-family members, baby wearing can be your answer. Infants who are regularly in close contact (carrying or holding) with mom (or another care-giver) cry up to 43% less than infants who are separated from mom or significant other. This can be a particular relief if you have a “colicky” baby that cries for extended periods of time during the day. Baby wearing is particularly encouraged in mothers with perinatal mood disorder (PMD) (postnatal depression) as it facilitates bonding where mothers with PMD may struggle with bonding. It also increases a mother’s confidence in her ability to mother, which counters the effect of PMD. The safety of baby wearing has been a concern to some health care providers but studies show that it is safe. Of course it is important to make sure your baby has an open airway and has ventilation. The airway will be constricted if their head is either stretched too far back or fallen too far forward where the chin is touching or very close to the chest. Poor ventilation can take place if the baby is covered in the sling or blanket and then re-breaths significant amounts of carbon dioxide. Most mothers are overwhelmed by the amount of time it takes to care for a baby. Baby wearing gives you more “hands free time” to get to other tasks while still caring for your infant and meeting their need for physical contact.